ARTA AR-Filling Systems for Drums, IBC/Totes etc. The ARTA AR-Filler is designed to facilitate safe and simple container filling. Our fillers can be deployed for virtually all chemicals, including hazardous and/or valuable media. The product line is used to transfer the actual product into the container. 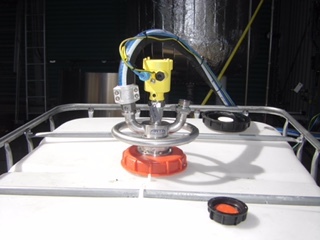 The gas / vapor recovery line is used to safely divert product vapors. 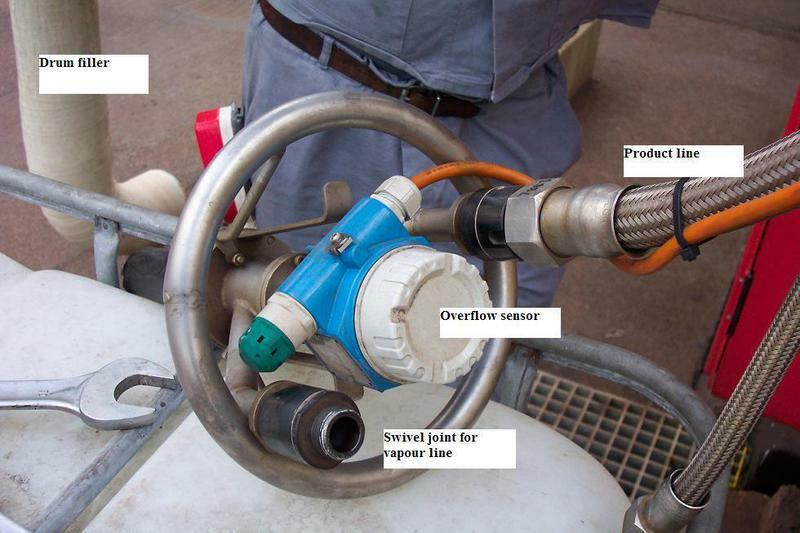 The overflow sensor line allows the sensor to come in direct contact with the product. 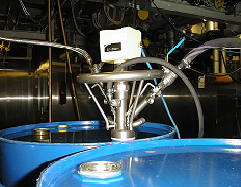 The AR Filler can be equipped with a dip-pipe to avoid product foaming (also called submerged filling technology). This feature can be customized to match the exact height of the drums or containers used in your filling applications. For temperature-sensitive media, optional heating or cooling jacketed systems are available. Typically, this option is used for high-viscosity chemicals that need to be heated in order to obtain the desired flow rates. ARTA understands that not all applications can be satisfied with standard solutions. To this end, we work with our customers to develop the best possible solution for their individual needs and process applications. Additional nitrogen lines, custom barrel fillers, and sanitary applications are examples of common requests. ARTA AR-Filler are priced individually, but most units start at approximately 3,000 USD.